It seems the one thing we've really heard the most fuss about Deus Ex: Human Revolution Director's Cut is the boss battles. Whilst they were a bone of contention in the original versions of the game, this newer version on the Wii U has boss fights that are much more adaptable and more in-tune with the Deus Ex ethos. That's not the only thing to get fixed up though -- there's a whole host of improvements and tweaks being made to the game. First of all, this is the full Human Revolution experience; The Missing Link and Tong's Rescue DLC packs are seamlessly put into the game. Secondly there's a raft of tweaks, new features and fan service implemented into the game along with an impressive set of Wii U GamPad features. When it comes to those contentious boss fights, they've not been drastically altered in story terms, at least; you'll still need to kill each boss battle to progress. What has changed are the levels and the fact that you can now approach a boss either with stealth or hacking instead of a simple gun fight as before. I watched Square Enix designer Emil talk me through a hacking approach against the first boss, Lawrence Barrett. After evading his initial bursts, Emil guided Adam Jensen to a first floor in the area which is totally new to the encounter. Thanks to some handy vents, Emil was able to guide Jensen to a security room where he was able to unlock new rooms. 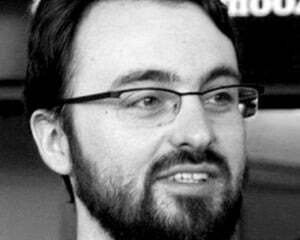 From there he headed back to the ground floor, again evading Barrett who was stalking the lower level. In this lower level Emil demonstrated the newer hacking interface where the actual hacking game is located on the Wii U GamePad screen, allowing your TV to still remain "in game" so you can see approaching threats. This was really handy as Barrett eventually stomped around the corner and saw Jensen hacking another terminal to activate some security turrets. After that it was simply a matter of grabbing a turret and using it as a shield to finally dispatch the first boss. 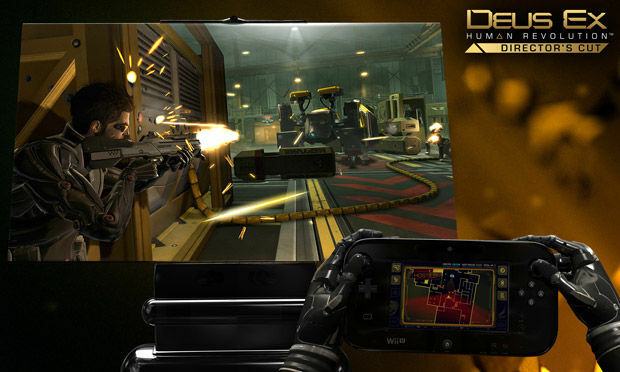 The WiiU GamePad is useful in this version of Human Revolution; a new smart vision augmentation lets you use the GamePad as an enhanced AR vision mode giving you more info on enemies, their health and armor as well as any items they might be carrying. The GamePad also clears up a lot of clutter on the main screen: for example, looting enemies becomes a really simple process instead of navigating menus. The hacking game is really fluid and intuitive and there's also a new swipe feature that let's player flick away enemy grenades with a simple swipe on the GamePad screen. Also included in the Director's Cut is 8 hours of commentary from developer Eidos Montreal and a built-in smart strategy guide which will locate the appropriate chapter depending on your position in-game. There's Miiverse implementation too, with a screenshot and note capture device that leaves AR tags in the game world for your friends to find. 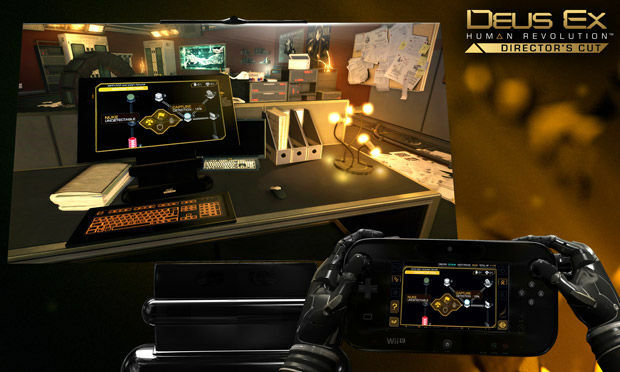 It all adds up to a compelling package that Wii U users should check out, if they haven't already played Deus Ex: Human Revolution on another platform.